Post-its at the Delphi United Methodist Church are a testament to a community's grief and disbelief. 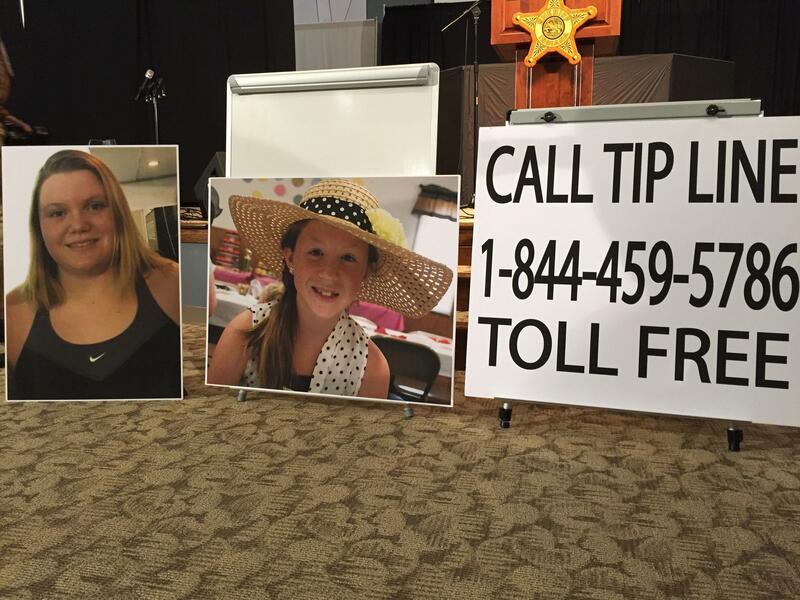 The quick thinking of one of two murdered Delphi teens may give law enforcement the necessary clue needed to find the girls’ killer. The bodies of 14-year-old Liberty German and 13-year-Old Abigail Williams were found on Valentine’s Day, a day after they failed to return from a hike near the Delphi Historic Trail in Carroll County. The deaths quickly were treated as a homicide. Indiana State Police had released a photo of a suspect, wearing a blue jacket, blue jeans and a brown hat or hood. State officials revealed during a press conference Wednesday the image had been found on German’s cell phone. Officials say the voice could be from a different person than the man shown in the previously-released photo. According to police, there’s no telling if the person was local, knew the girls or contacted them previously. The Federal Bureau of Investigation is assisting the state police with the search. FBI Agent Greg Massa implores people to not rationalize away any hunches and to regard people’s actions with suspicion. Massa also said to take note of anyone who went missing or changed plans around the time of the murders. “Please do not rationalize tips away, rationalize what you think might not be important away, by thinking, ‘he would never do that to another human being',” says Police State Superintendent Doug Carter, adding the public should let law enforcement decide if a person is worth pursuing. The public is encouraged to submit any tips to the FBI or the State Police—tips can be anonymous. The police, using donations from local businesses and the FBI, are offering a reward totaling more than $40 thousand for any information leading to an arrest. State police say they are choosing to not release any more information due to the risk of soliciting phony tips or assisting the murderer. Anyone with information about the case is urged to call the Delphi Homicide Investigation Tip Line at (844) 459-5786 or the Indiana State Police at (800) 382-7537. Information can also be mailed to abbyandlibbytip@cacoshrf.com.